Edward Curtis, born 150 years ago, was famous for photographing Native Americans. In “Double Exposure,” SAM presents his works alongside those of Native American artists Will Wilson, Tracy Rector and Marianne Nicolson. 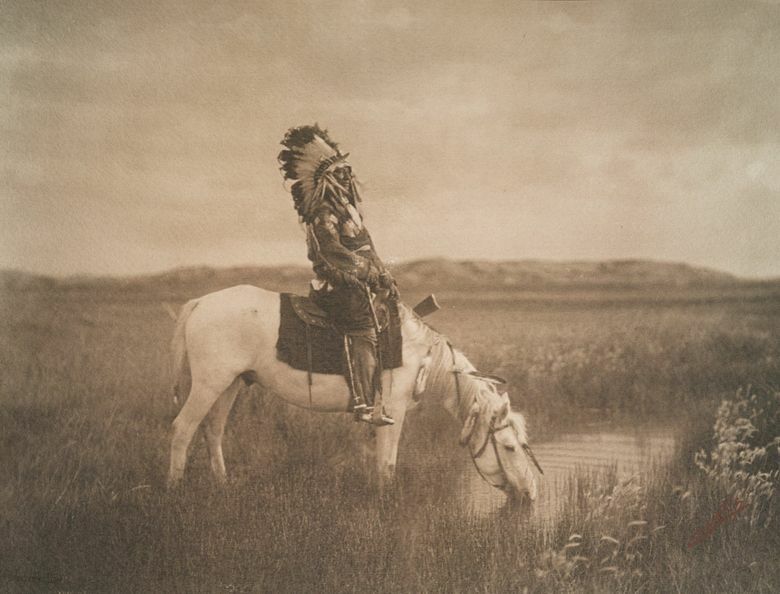 Edward Sheriff Curtis (b. 1868, d. 1952) was a complicated guy. And he left a complicated legacy. He was an intrepid genius. He was also kind of a jerk. 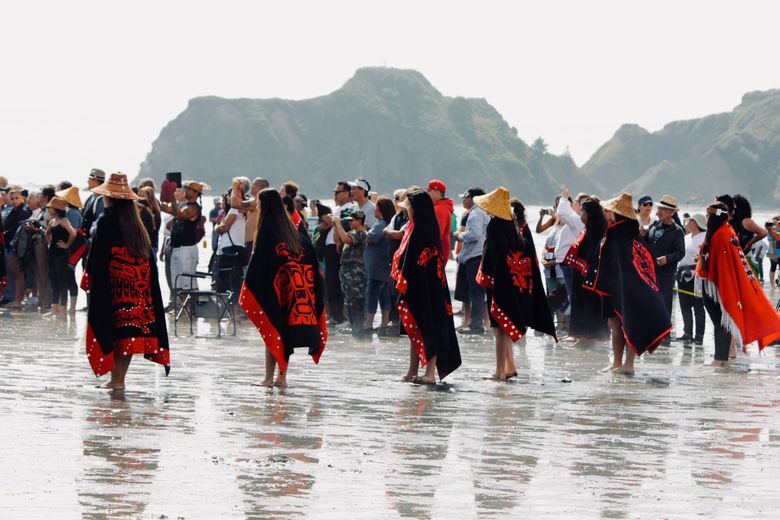 “Curtis is the elephant in the room for Native American photographers,” said Will Wilson, a Navajo/Diné photographer who is part of Seattle Art Museum’s upcoming exhibition “Double Exposure: Edward S. Curtis, Marianne Nicholson, Tracy Rector, Will Wilson,” opening on June 14. 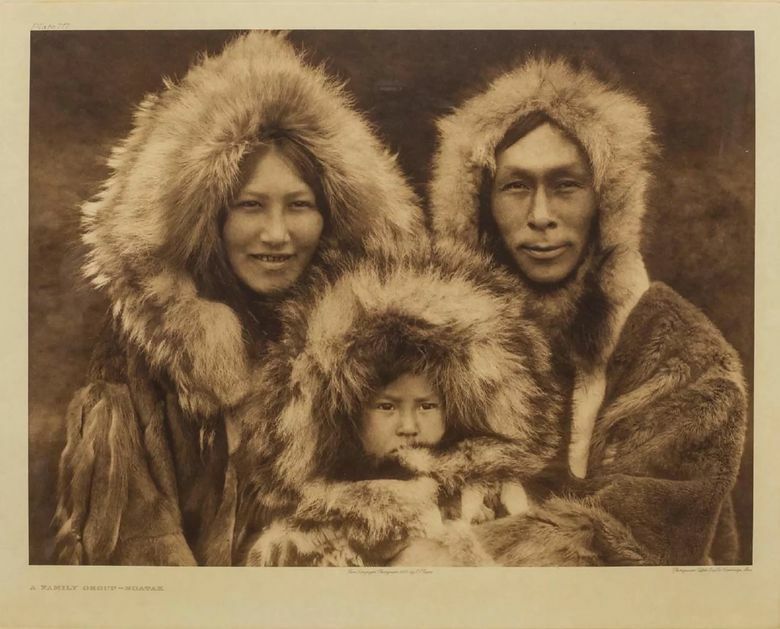 “When people think about Native Americans, it’s probably a sepia-toned Curtis photo that pops up in their minds,” he said. Curtis, who grew up the son of a poor minister, farmer and Civil War veteran, found work as an apprentice photographer and then found his mission, around 1895, when he took a portrait of Princess Angeline, the Duwamish daughter of Chief Sealth. That began a yearslong trek across the U.S., photographing and writing about Native Americans, resulting in a 20-volume series: “The North American Indian,” financed with seed money from J.P. Morgan. Seattle Art Museum had been watching for the 150th anniversary of Curtis’ birth — as it does for anniversaries of major artists. 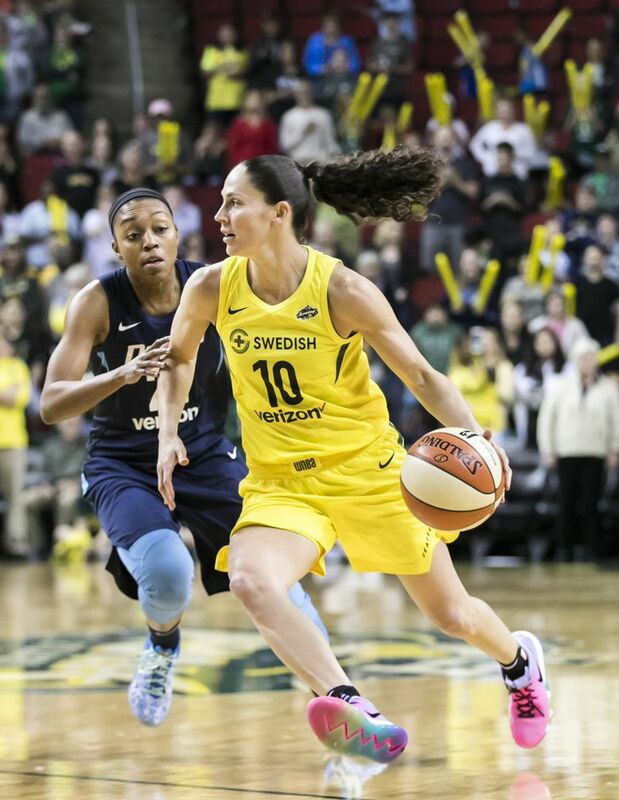 “It’s been a long time gestating,” Brotherton said. But, she added, the museum knew it couldn’t present a simple hagiography of Curtis’ work without acknowledging its contradictions. “Double Exposure,” she said, isn’t so much about Curtis and Native artists responding to his work as it is about putting them on equal footing. 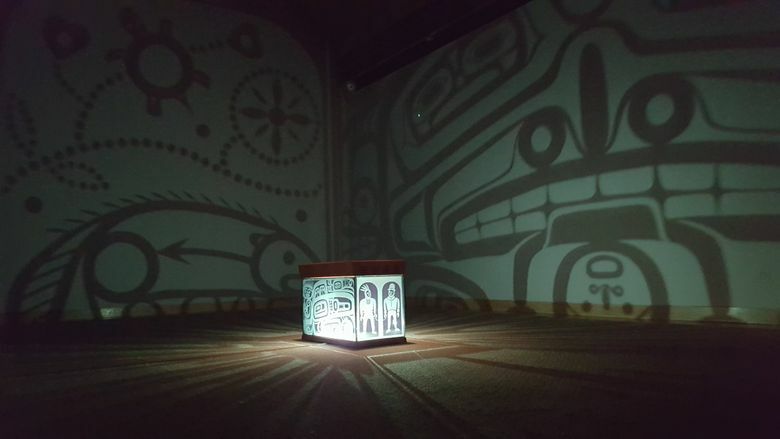 The first thing visitors will see is an installation by Marianne Nicolson (a member of the Dzawada’enuxw First Nation of the Kwakwaka’wakw First Nations), who creates shadow-and-light environments with carved glass and lights, based on Pacific Northwest Native aesthetics. Alongside the Curtis works, Brotherton has curated video and virtual-reality work by Seattle-based artist Tracy Rector (Choctaw/Seminole) and photos by Will Wilson (Navajo, also known as Diné), who uses 19th-century camera techniques to take contemporary portraits of Native people, some of whom are holding the photos Curtis had taken of their ancestors. The mere name of the exhibition, “Double Exposure,” holds the contradiction of Curtis and what he left in his wake — and the technology of photography itself. It’s all about the positive and the negative. On one hand, Curtis risked life and limb to “document” Native Americans — or at least his view of them — as a “vanishing race” that had to be photographically captured before they “disappeared.” He ventured into communities where he might be seen as a friend or a foe or something in between. He nearly fell off cliffs, conducted tense negotiations with people who didn’t trust him (including, on occasion, his family members), and meanwhile perfected an “orotone” technology using bronze powder and banana oil to give his images, taken under sometimes photographically difficult conditions, their signature luminosity. On the other hand, he was an arrogant white guy who rolled into indigenous territories with a trunk full of masks and regalia from other territories, then paid people to wear them while setting up “nostalgic” scenes in what he thought were their “authentic” conditions. He also horned in on — or recreated — sacred, esoteric moments that, Wilson said, Curtis knew were not supposed to be photographed. And Curtis studiously avoided some inconvenient truths. He retouched images to remove suspenders, wagons and other objects that didn’t fit his “noble savage” vision. In one photo — “In a Piegan Lodge,” taken in Blackfoot territory — he removed a clock, presumably because it looked too contemporary. For better and for worse, Curtis’ images have lingering power. “Representation,” Wilson said, “can manifest reality.” If non-indigenous people only think of indigenous people as sepia-toned Curtis photos, he explained, that can create a whole new host of problems. “The first images of Navajo people were made when they were essentially prisoners of war, in concentration camps in New Mexico,” he said. If that’s the first visual impression someone has of a Navajo person, he asked, how will that inflect their dealings with Navajo from then on? 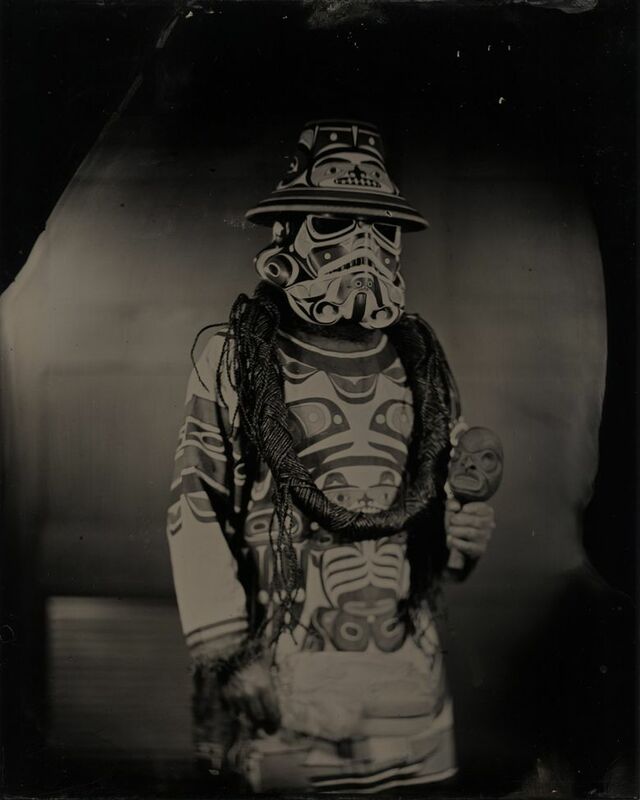 Case in point: the photo Wilson took of Vancouver, B.C.-based artist Andy Everson in a “Star Wars” storm trooper helmet — Everson said he wore his Kwakwaka’wakw dance regalia, but brought a plastic helmet he’d painted in that aesthetic tradition. Wilson takes his photographs using 19th-century technology. It isn’t precisely what Curtis was using (Wilson’s wet-plate technique predates even Curtis), but the photos create a similar effect: a precise calibration between foreground and background, a level of human intimacy you don’t see in anything digital. One of the early images Wilson took in that series using 19th-century camera technology is from 2012, when art curator Joe Horse Capture Jr. approached him at a Native art market in Santa Fe and wanted his photo taken while holding an iPad with a photo of his great-great-great grandfather — who was holding a rifle in a Curtis portrait. “That man had wanted his photo with a rifle to be portrayed as a warrior,” Wilson said. “Joe Horse Capture held up his iPad and said to me: ‘representation … is how I am a warrior.’ ” A rifle, he said, is one kind of weapon; iPads and cameras are others. Everson, who made the storm trooper helmet in Wilson’s photo, served on SAM’s Native Advisory Committee, which spent over a year talking and thinking about how to frame this Curtis anniversary.